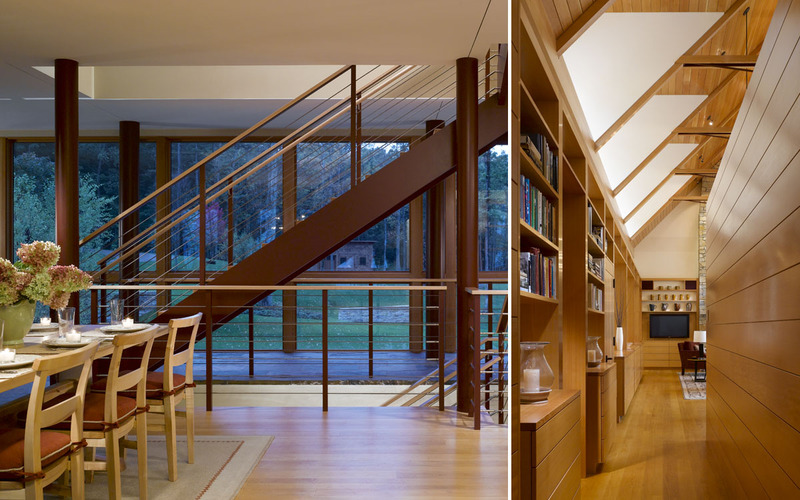 This multigenerational residence consists of two houses connected by a south facing glass walkway. 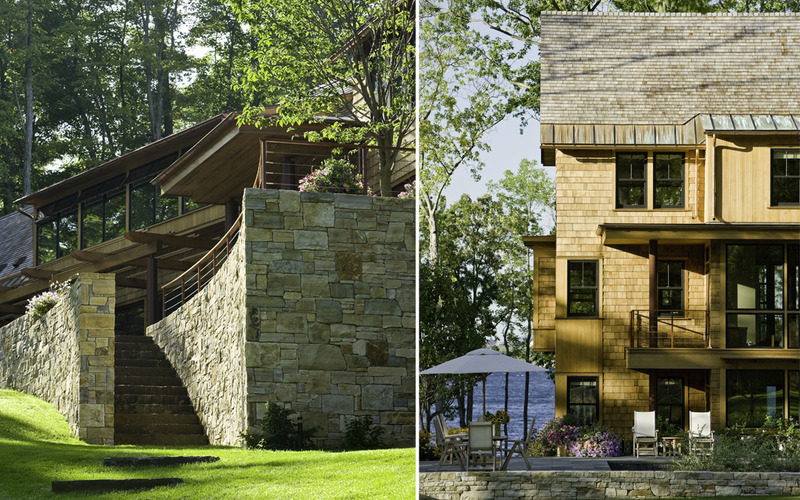 The project is a contemporary version of a classic shingle-style house, with graceful curves that echo the shape of the bay which it looks out on. 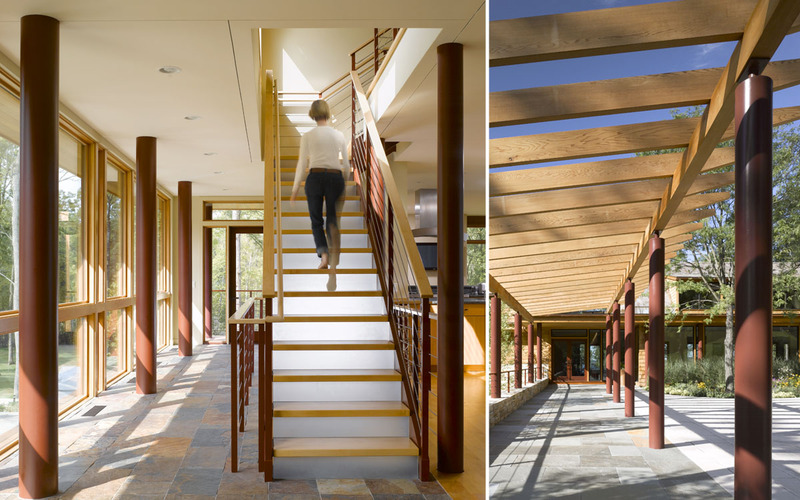 A common entry and easy access back and forth allow the spaces to flow within and from inside to out. 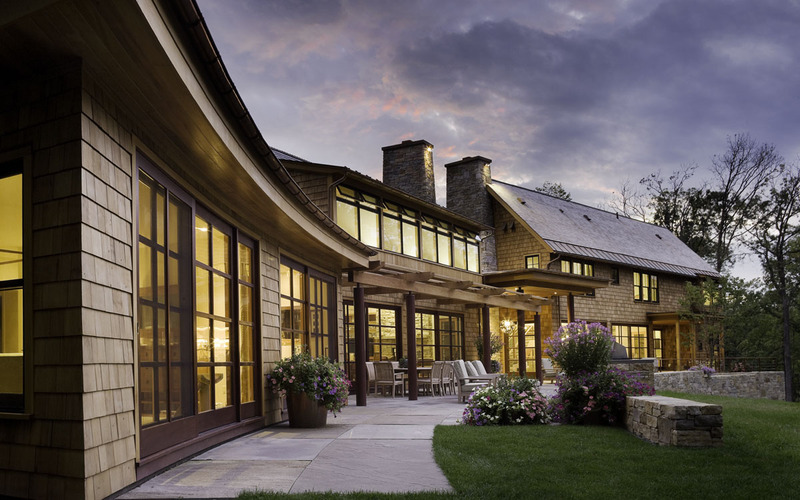 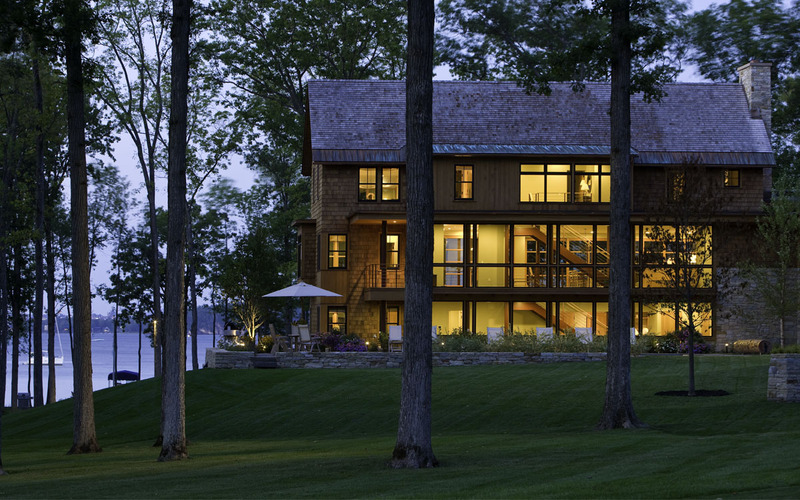 Glass walls, pergola covered terraces and porches further celebrate the compelling views and access to Lake Champlain.